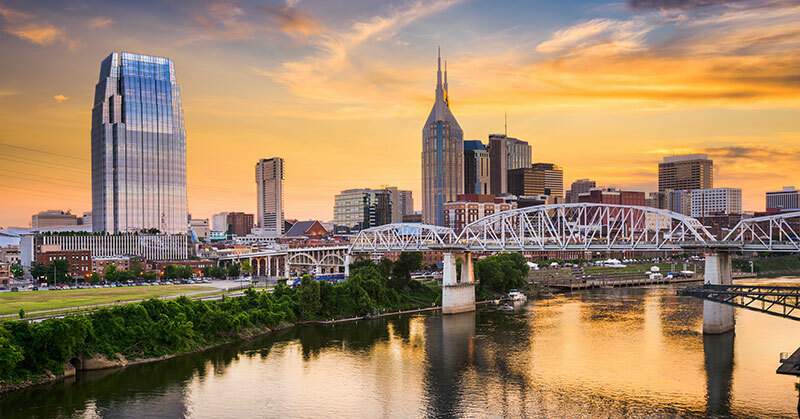 The Nashville area will be getting five more Gold's Gym locations thanks to a new agreement between the fitness franchisor and multi-unit operator Tennessee Fitness, LLC. Robert Dennis, Andrew Davis, and John Davis currently own and operate seven of the gyms in the Tennessee market. Their new locations will open throughout five counties in the Middle Tennessee region. Brothers Andrew and John Davis had their first Gold's Gym experience in their home state of Alabama. They were impressed by the brand and decided to look into franchising. Robert Dennis was working for Gold's Gym as a real estate broker and assisting the Davis brothers with identifying their first location. Robert had plans to open his own franchise and decided to partner with the brothers. "Since opening our first Gold's Gym in Murfreesboro in 2009, we have seen tremendous success and wanted to keep that momentum going," said Andrew Davis. "The fitness industry is constantly evolving, which is why we're happy to partner with Gold's Gym. As one of the most recognizable brands in the world, we have access to the some of the most accomplished experts in the industry and unparalleled franchisee support to ensure the success of our business." With 18 new locations opened in the first quarter of this year, Gold's Gym plans to continue its development and expansion in states such as New York, Texas, and California, as well as internationally in Jordan, Egypt, India, Japan, Morocco, and Saudi Arabia. Gold's Gym now has 720 locations in 38 states and 23 countries around the world.